SIRIUS DOCUMENTARY NOW ON NETFLIX! We are so excited to announce that the Sirius film can now be seen on Netflix. So many people subscribe to Netflix …so watch it another time, tell friends and enjoy! – The History behind Disclosure – This is the amazing background story behind the Historic 2001 National Press Club Event and the subsequent Disclosure activities. It is a must to understand the thought and nuance that has gone into this subject. – Would you like to participate in a week long expedition? 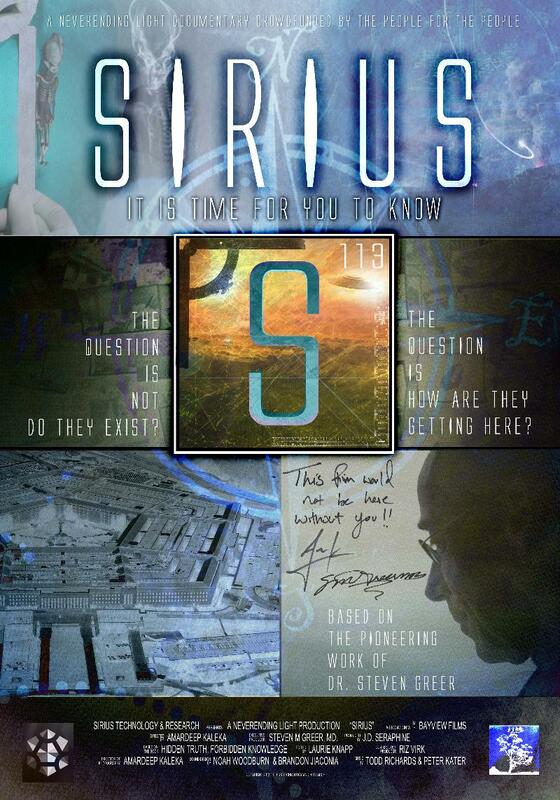 Filed under: Dr. Steven Greer, SIRIUS, SIRIUS ON NETFLIX |	Comments Off on Dr. Steven Greer Announces: SIRIUS DOCUMENTARY NOW ON NETFLIX!